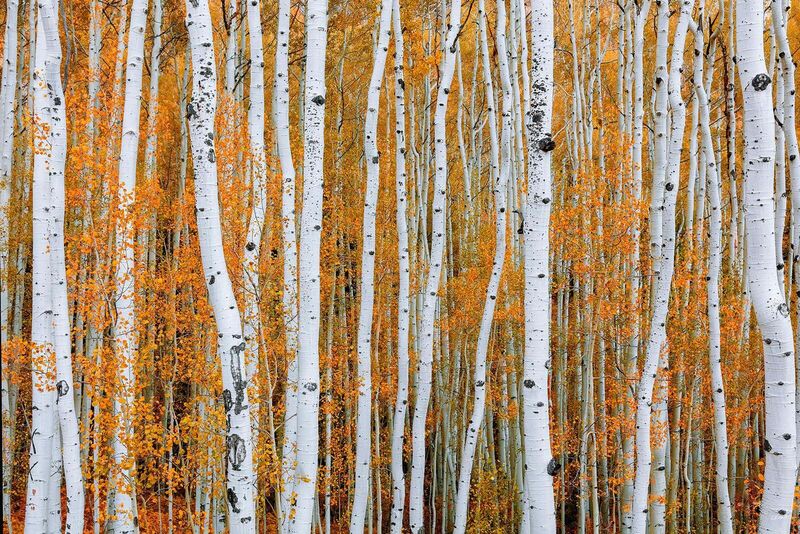 Fine Art Limited Edition of 100 - The aspens are all native to cold regions with cool summers, in the north of the Northern Hemisphere, extending south at high-altitude areas such as mountains or high plains. They are all medium-sized deciduous trees reaching 15–30 m (49–98 ft) tall. In North America, it is referred to as Quaking Aspen or Trembling Aspen because the leaves "quake" or tremble in the wind. This is due to their flattened petioles which reduces aerodynamic drag on the trunk and branches. Photo © copyright by Aaron Reed.